Photo by Lewis Wickes Hine. September 1911. 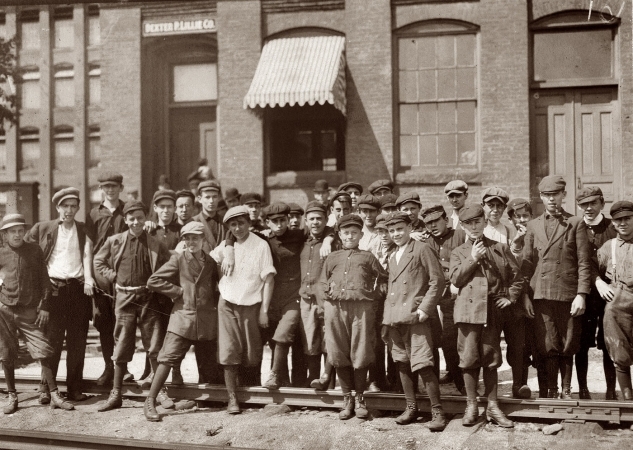 "Young workers in front of Indian Orchard Mfg. Co. Indian Orchard, Mass."